Connections Church and its affiliate churches in the Americas are a part of the “Global Connexions” international alliance of independent churches, based in Australia. We believe churches should still be accountable on an apostolic level as seen in the Book of Acts. 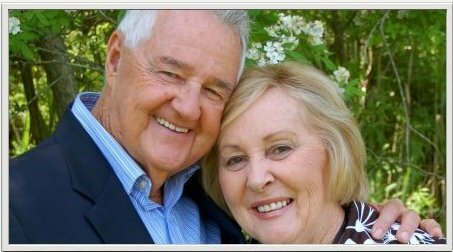 Pastors Neil and Nance Miers provide a safety net of ongoing encouragement, advice and counsel for these church and its internal leadership. Previously, Neil Miers was International President of Christian Outreach Centre (COC). Neil and his wife Nance are part of a handful of people who built up the Christian Outreach Centre movement into one of the biggest Pentecostal groups in Australia. In 1977, they moved their family from Brisbane to establish the Nambour Christian Outreach Centre, now known as the Suncoast Christian Church and College. In his role as International President, Pastor Miers helped establish the COC movement in many nations around the world. In 2009 Pastors Neil and Nance traveled the world as guest speakers at various conferences and churches under the banner of their new ministry, Global Connexions. Neil’s heart is to see people set free through the power of the Lord Jesus Christ. Out of his love for the Word of God, he brings a powerful message of encouragement and hope to all who hear him preach. In his office as an apostle, Neil brings an international message for the church today. He has a powerful anointing, yet retains a personal humility and a unique humor and openness that endears him to all. Neil is a powerful minister of the Word, and his revival meetings are characterized with miracles and salvations. His strong and sincere passion for people helps transcend cultural and religious barriers as he ministers throughout the nations, preaching with authority and influence. Nance has a commanding personal testimony of God’s restoration power and is a popular speaker and sought-after counselor. Thousands have been set free from her ministry and have been empowered to walk in the fullness of God for their lives. Nance’s warm manner, genuine love of people and keen understanding of life’s problems and their roots results in an extremely effective and lasting break-through ministry. As Pastors Neil and Nance continue their ministry throughout the world they, conduct inspiring conferences and powerful revival meetings where large numbers of people are saved, with signs and wonders following. Neil and Nance are seasoned ministers of the Gospel who have been used by God to build the Kingdom of Heaven, impact people’s lives and touch the nations of the earth.